Many MommyMaestra readers will be impacted this week - some already have been affected! - by winter storms. So January's free printable from our sponsor, Spanish for You, is timely. 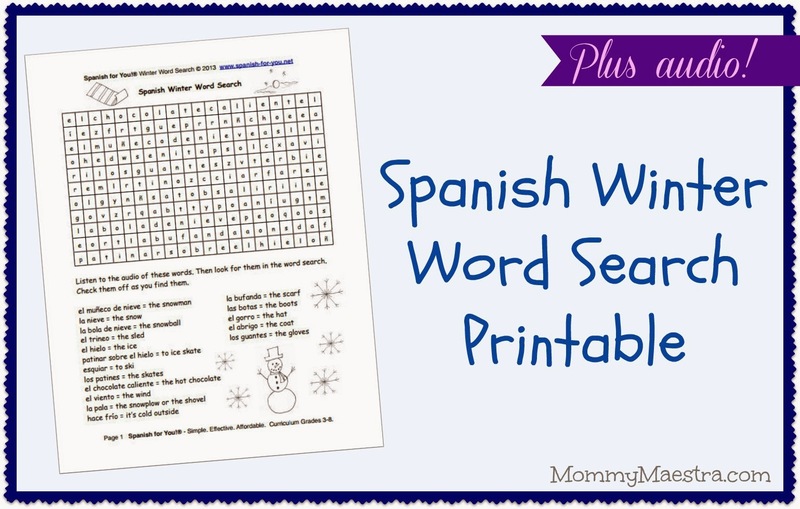 It's a Spanish Winter Word Search plus audio file. This fun activity sheet introduces your Spanish language learner to winter-themed vocabulary. The accompanying audio file is a bonus for parents and children who are learning proper pronunciation.